When I was a kid I thought we’d all have robot butlers and be zipping around in flying cars by now. Damn. The future ain’t what it used to be but we did kind of get a Star Trek communicator. We carry around in our pockets a phone with a computer way more powerful than the ones that put men on the moon and we use it mostly to take pictures of ourselves and our lunch and to say mean things to each other anonymously online. 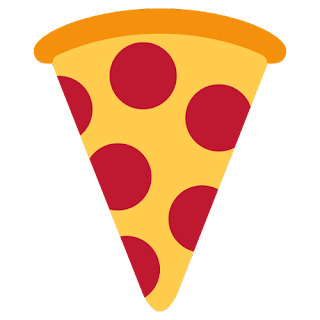 But now we can use it to order pizza with an emoji so we’ve got that going for us, which is nice. 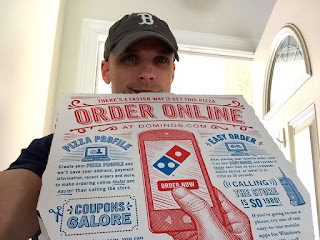 Actually, I love having a computer in my pocket and I love the fact that getting a pizza brought to my house just keeps getting easier. You used to have to call a guy. I hate calling guys. Then you could go on a website. I like websites but that’s a lot of pointing and clicking and typing when I’m trying to sit on my couch and watch TV. Now Dominos has knocked it up a notch. Just in time for football/pizza season they’ve become the first pizza place to offer emoji ordering. 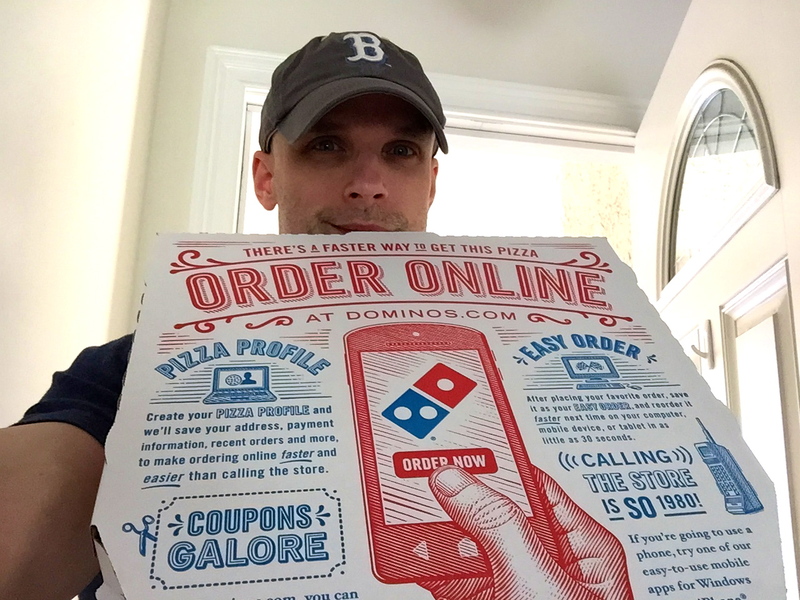 Text or tweet them a little pizza picture and they’ll bring you a real pizza. At least that’s the idea. Could it be that simple? It’s a football Sunday afternoon so I decided to test the system. First of all you need a Dominos account. I write a blog called “Junk Food Jones” so you know I already have one of those. Then you need an “Easy Order” saved. Again, check. Then you set up Emoji Ordering and they’ll confirm that you really want it and you didn’t just accidently hit the button because you’re so pizza starved that you’ve become Hungry Dizzy Hulk and Hulk-smashed the thing accidentally. So they ask if you meant that you really want to set up this whole emoji thing, you confirm and you’re all set. Then when you want a pizza you just text (or tweet) them a pizza emoji, they text (or tweet) you back a confirmation, you respond with a “thumbs up” emoji and then you wait. I did it and everything seemed to be going smoothly but I was still skeptical. Would this really get me an actual pizza at my actual house to put in my actual mouth? Turns out the answer is yes. 21 minutes later my regular guy showed up with my regular pie. He wasn’t driving a flying car but I guess I can learn to live with that disappointment. At least the amount of work I have to do to get a pizza keeps going down. And I can use my phone to take a selfie with my lunch. That’s kind of something, right?